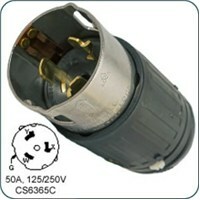 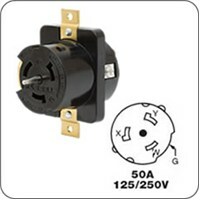 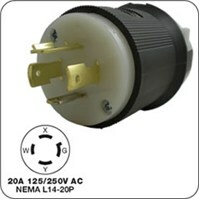 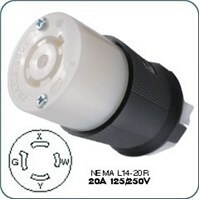 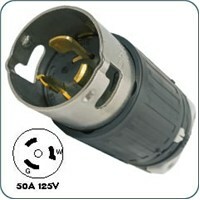 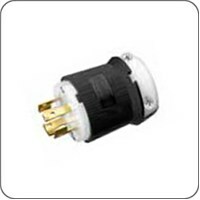 Plugs and connectors are available for a range of applications, from 15A~50A and 125/250V AC configurations. 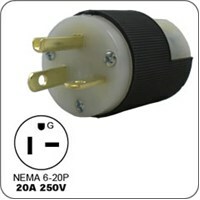 The application table below lists generator/welder models and the plug styles they use. 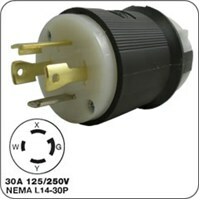 Plugs (male) fit the matching receptacle on the generator. 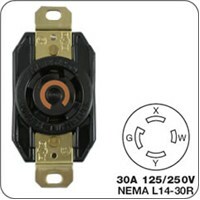 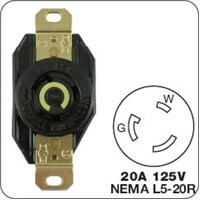 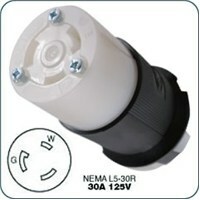 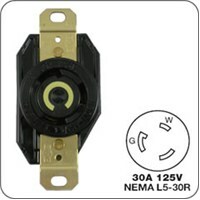 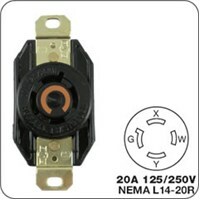 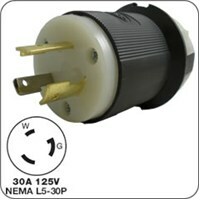 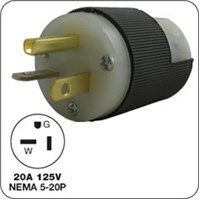 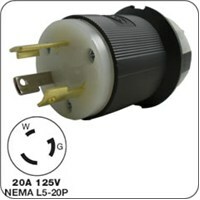 Most plugs are rugged nylon construction with heavy-duty screw terminals. 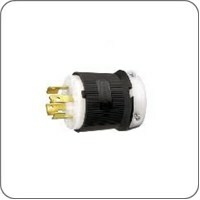 Connectors (female) are used on the ends of cords and are required to connect a generator to a transfer switch.